UML only supply to trade customers. For service kits please contact your Lifejacket Manufacturer, Approved Lifejacket Service Station , Local or Online Chandlers. 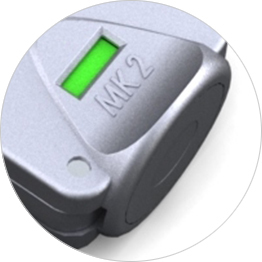 Pro Sensor® Single point Indication system is also available in a Manual Activation Only version, affording the user one point of status indication, to confirm if the unit has been manually activated. This unit also provides the added benefit of detecting if the CO2 cylinder has been pierced, eradicating the possibility of accidentally fitting an empty gas cylinder during the service procedure. 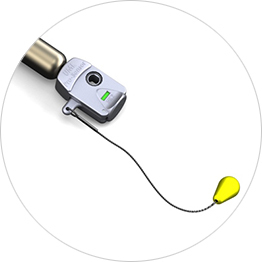 This inflator will not activate on contact with water and the user is required to activate this inflator by pulling firmly on the yellow pull toggle to inflate the lifejacket. 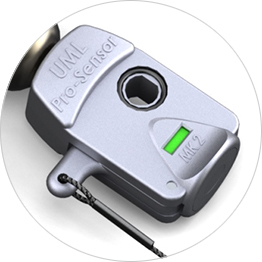 The indication system on the Pro Sensor® Manual Inflator allows the user to establish if the system has been fired including the added benefit of quickly identifying if a pierced Co² cylinder is accidentally refitted to the inflator during the servicing procedure.